Unicorns are all the rage right now. So why not add a fun stamp set to your collection? 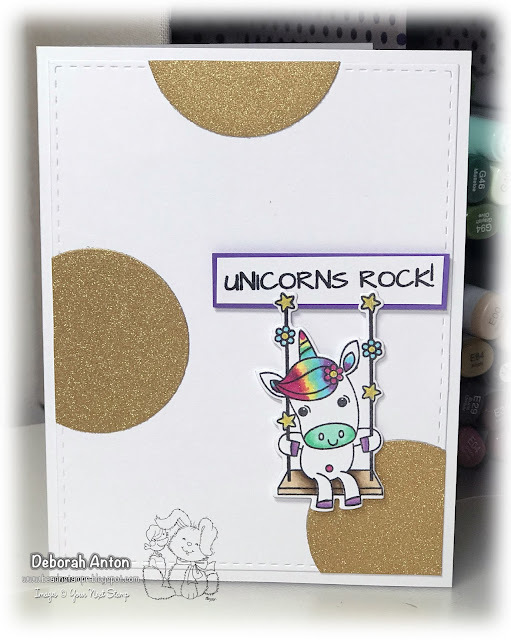 This new set from YNS is super cute and fun to color - Unicorns Rock.. 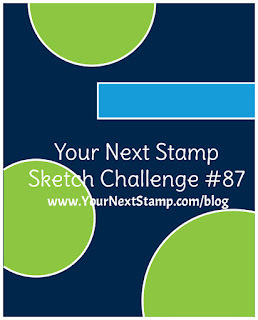 It is perfect to pair with the current sketch challenge which is what I did to create this card. I had some left over glitter card stock cut outs which came in perfectly for this sketch. I stamped the image and colored her in with Copics before cutting it out with the coordinating die. The sentiment was stamped and popped up to have the swing come down from that. The panel was cut out using the YNS Stitched Rectangle die set and the card was finished with some gold glitter pen over the stars and some Wink of Stella over the mane. 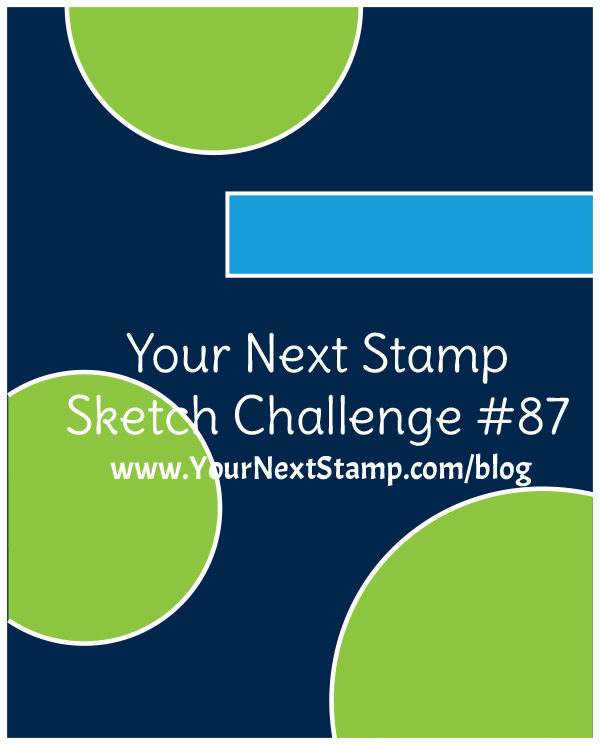 Thanks for stopping by and hope you play along with us to link up your creation on the YNS Blog!